The highest formal level of technician and company is PestCert Accredited. The main association is the Australian Environmental Pest Managers Association. Your local professional may not be an association member or PestCert accredited and still be a salt of the earth, honest and knowledgeable person. After 50 years in the business I found most of them are, but I also know plenty of instances and stories where customers have been badly advised and ripped off. My advice? Get a couple of companies to assess and submit written proposals (not on the back of a business card). Ask to see a current technicians licence and check to see it includes timber pest qualifications. Some are only accredited for various household pests such as cockroaches, ants, spiders, etc. You also need reassurance they carry professional indemnity insurance. 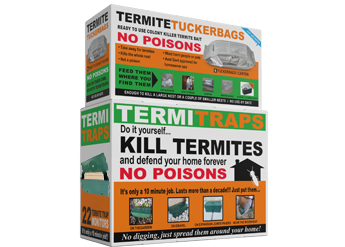 When you phone, tell them briefly that you’ve found live termites (or termite damage which may or may not be active). Ask what it costs to have their inspector make an assessment and prepare a proposal. (Few companies give free written assessments; it takes time to be thorough and there are litigation consequences if they get it wrong or miss something due to rushing through an unpaid-for inspection). Most companies will waive the assessment fee if you accept their proposal but, just as you know there is no free lunch, the cost is in there somewhere. Before they start their inspection, make the definite point they must not disturb any live termite galleries. A second inspector needs the same consideration as the first and needs to verify the species for himself in undisturbed activity. You might as well let them know you’ll be getting a second opinion before they start. Do not show or discuss the first company’s proposal with the second company because the second company may rely on the first company’s inspection and not make their own full inspection. Also, they may just shave a few dollars from the first company’s price. By not knowing the price to beat, they may give you a much lower price. All companies have a duty of care to offer industry best practices which obviously includes an inspection to the Australian Standard. Because of this, they are obliged to offer all applicable treatment options covered in that Standard. Also, their professional indemnity insurer insists that they offer the full suite of treatment and preventive/protective measures. You are under no obligation to accept every recommendation, but if you don’t, there would be a reduction or total elimination of any warranty. It is completely up to you to weigh up the costs and possible consequences. Negotiate. To give an example: attempting to kill the colony is first and foremost requirement, but if everything was torn apart before you read this and there are no live termites left to treat, the technician will probably move onto the next requirement and propose some chemical barrier which may include drilling and flooding insecticide through to the soil beneath the concrete. They will also (usually) propose to set up a series of monitors outside in the surrounding areas to try and entice the colony that caused the attack. Using outside monitors provides another chance; the colony is still out there somewhere. Now you understand why companies propose the full bells and whistles. They then may offer a guarantee that sounds great, but have a close look at the terms and conditions of that guarantee (which may even include timber replacement). It will almost certainly require you to sign up for the full treatment proposed plus regular inspections and maybe some other clause(s) that you may not be able or want to honour. If you miss an inspection or do something else to breach the guarantee agreement, you just paid lots of money and the guarantee is voided. There is still a warranty of some degree under your State Office of Fair Trading if what you agreed and paid for is unsatisfactory. 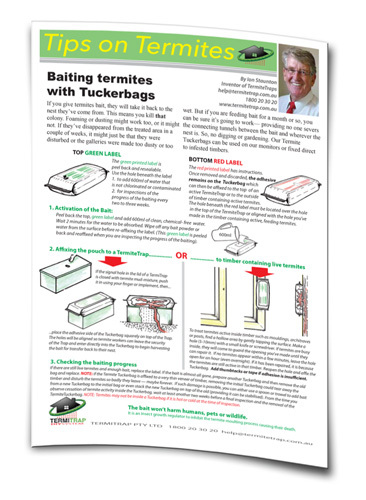 As this is essentially a website for DIYers, you probably have a DIY attitude and you may decide to do the monitoring yourself (which is straight forward and easy) but because the equipment needed to apply large volumes of insecticide is out of your league, you may give the professionals the job of chemically treating the soil. 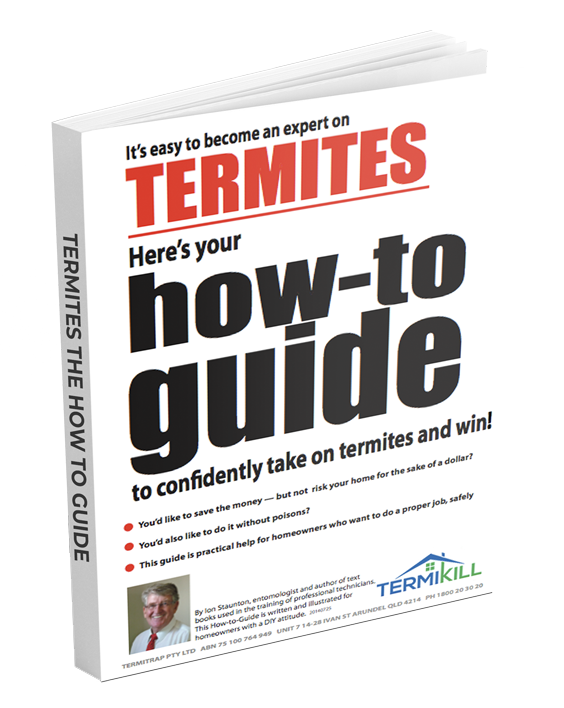 A good thing about getting in a professional is that if your termite situation is more complicated than you feel confident in attempting, you now have someone who knows termites better than you to give you their assessment — so you can assess it. Having read this far, you’ll know if what they say makes sense and which part(s) of their proposal you want to accept. Like in any business dealings, the fine print is there to be read and explained to you if you don’t understand it before you accept and sign.